PocketBook Touch Lux 2 was tested by Que Choisir jury of experts and gained the high grade of 15,5. Que Choisir is the official magazine of the French Federal Union of Consumers which once a month publishes comparative testing of products and services as well as its own investigation. Que Choisir does not cooperate with the advertisers of consumer goods, remains neutral during tests and works solely in the interest of its readers. This time Que Choisir tested 10 E Ink e-readers currently present at French market. Que Choisir experts admired PocketBook Touch Lux 2 excellent reading experience both in the bright sunlight as well as under low light conditions. Also the jury paid a special tribute to its multi-format support, frontlight performance and long-battery life. These features of PocketBook Touch Lux 2 have received the highest 3 star marks. 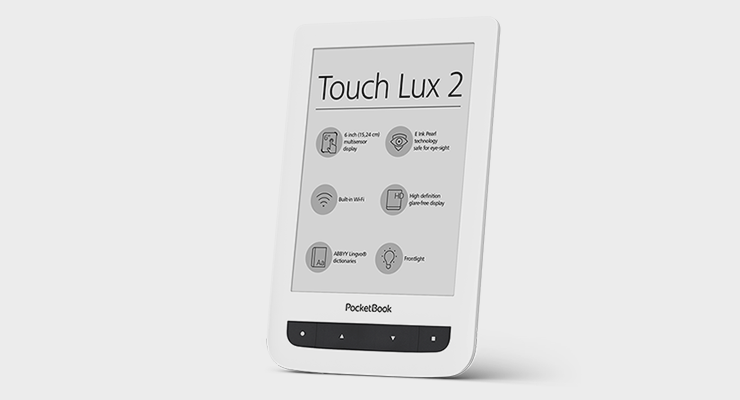 Find PocketBook Touch Lux 2 in PocketBook’s partners retail stores and check yourself the unforgettable e-reading experience.